With the weather being a bit unsettled at the moment i took the opportunity to have an afternoon fishing on one of the rare nice days because it wasn’t to far from my house i decided on a trip to Widdows fishery for a bit of skimmer action and i was looking forward to putting a few fish in the net after my weekends struggle at Partridge lakes . I managed to get to the fishery for dinner time and as their was only one other angler present who was fishing on the boards so i had nearly all the lake to choose from , i decided on peg 35 another new area for me to try in winter and it was near the bay and the gusty wind was also blowing towards it , i choose this peg because skimmers tend to feed better on here with a bit of ripple above their heads . As i was only fishing for a few hours i decided to concentrate on just one line but have two swims so i had the opportunity to feed positively on one and trickle the pellets in on the other to see which worked best on the day . I plumbed up at 11 meters and found a depth of 5 foot which was a good 1 foot deeper than i imagined because down the other end where i fished last time it was shallower so a change of rig was in order . 0.4 scone pencil float with a bulk and two dropper shotting pattern , my main line was 0.10 garbo with a 0.07 garbo hook length attached was a size 20 gamma pellet hook and my elastic was size six preston slip solid . As i was targeting the healthy head of skimmers i based my bait around pellets but i did take some maggots if the fishing was hard today . 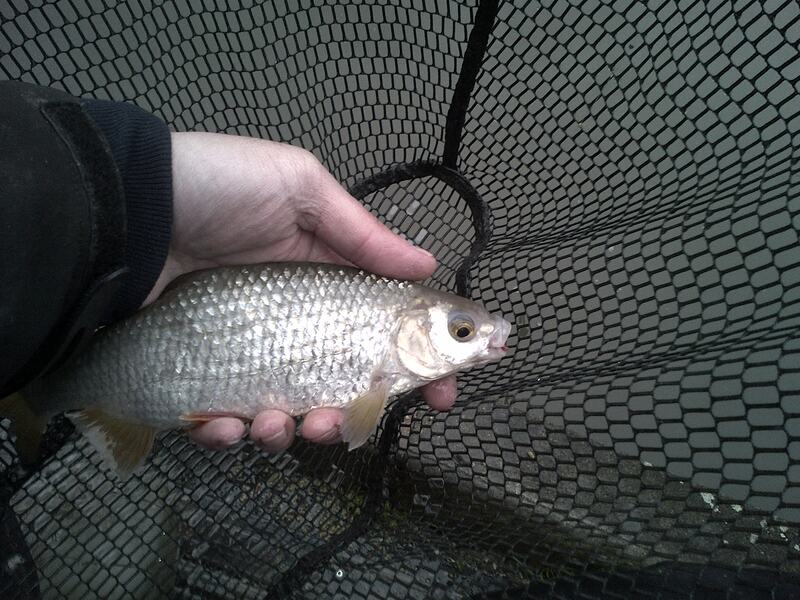 At 1230 i was ready to get going and i started by cupping in a medium ball of micros on to my left hand positively feed swim before concentrating on the right hand swim , i tapped in a dozen micros and could increase or decrease the amount as the session progressed but i had to bare in mind the healthy head of roach which could pick up the micros as they fell through the water . On my first drop the float had only just settled before it shot under and i was attached to the first of many nice sized skimmers , if it carried on like this it could be a rare winters red-letter day . But it was a false dawn with no more bites coming in the next twenty minutes , i had re-feed every five minutes but nothing was happening so i tried my more positive swim and as like before my first drop resulted in a big skimmer than a smaller one , then a tiny skimmer so i put in another ball of micros . It seemed to me that even in this cold weather the fish wanted some bait going in , so i made the decision to increase the feed on my negative swim but not as heavy as in the left hand swim not just yet anyway . 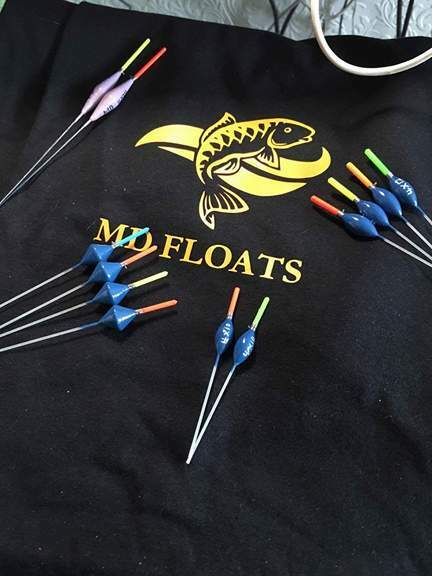 I started cupping in a ball of micros through my medium-sized kinder pot and this transformed my peg , it was noticeable that i would only get a bite after my feed had touched the bottom and if i missed it the float would stay still until i shipped back in and re-fed . Things where going swimmingly with me picking up a few fish from each line and i was being careful not to empty the swim of fish and disrupt the shoal , so it came as a surprise when both swims died on me . 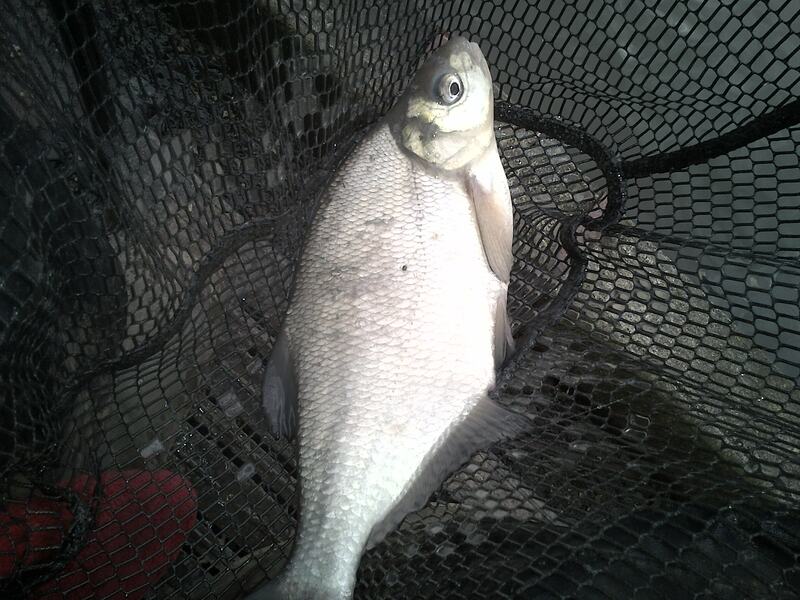 I tried changing shotting patterns and various other things but still no bites materialised , i was unsure on what to do next when out of the blue my float buried and my elastic shot off to the island obviously attached to an angry carp but of course the inevitable happened with my light hook length breaking . 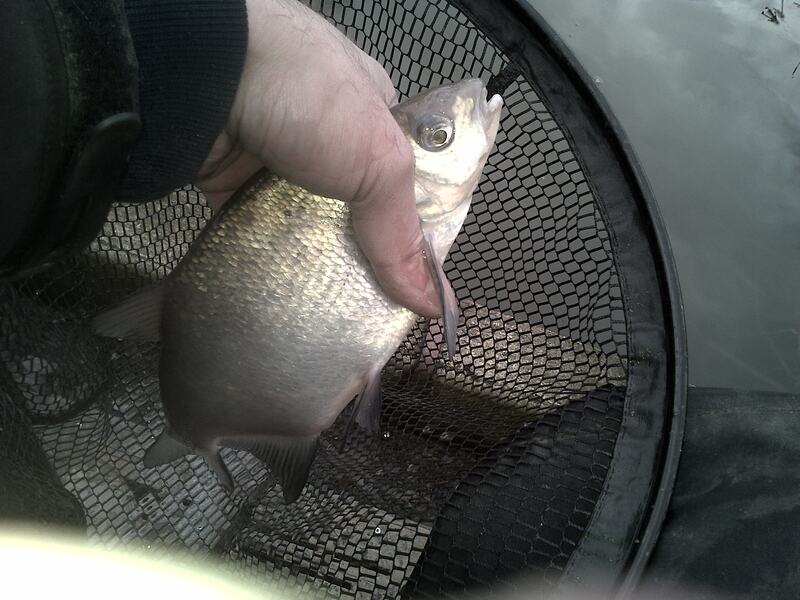 How ever it had solved the problem of why my swim had died because after attaching a stronger 0.10 garbo hook length , i was back in to the fish roach at first before the skimmers bullied them out-of-the-way and the fish were coming thick and fast again . But as like before the swim died on me but this time i was prepared and i shipped back out with a piece of corn on the hook , the first bite resulted in a big roach before the next bite saw the elastic fly out and i was attached to another carp luckily i managed to get this one in but it put up a nice fight on my number six preston slip elastic . The disruption in my peg after the carp seemed to have killed my swim so for the last thirty minutes of my session i decided to try for the roach on the drop with maggots . I began catting six maggots every minute but apart from the odd small roach i couldn’t get them feeding properly maybe i hadn’t given it enough time for it to work , so with the wind getting stronger and looking like rain i decided to call an end to the day . 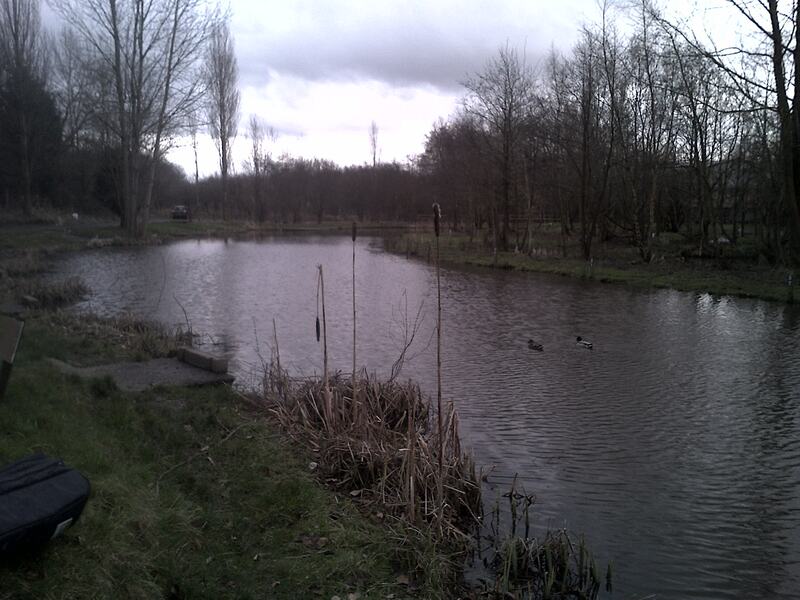 My final tally was 34 silvers mainly nice sized skimmers and one carp in four hours , it made a nice change from f1 fishing and i would recommend going here to anyone because the silvers are certainly feeding at the moment plus its only 3 a peg till April . 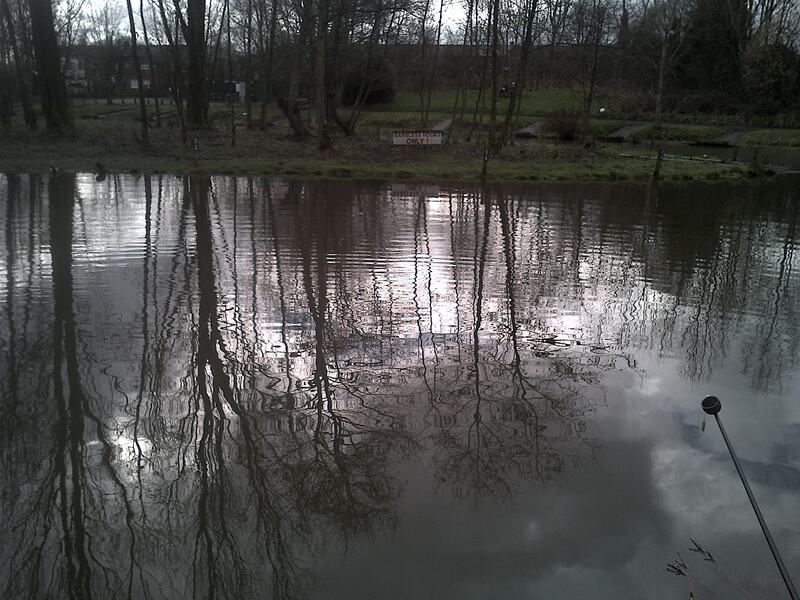 I will be back at Partridge lakes on Sunday and just hope this fore cast storm front subsides by then and in the mean time check out my mate The big dippers blog on fishing the Leigh tackle league at Partridge lakes its well worth a look . 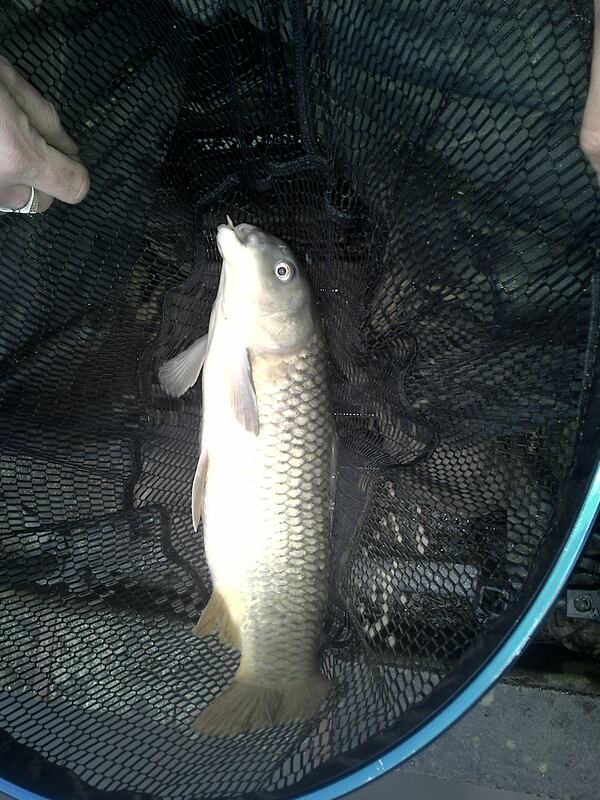 This entry was posted in WIDDOWS and tagged Common carp, Common roach, gamma pellet hook, garbo line, Maggot, matthews580, Scone float, silver fish fishing, skimmer bream, white expanders. Bookmark the permalink.